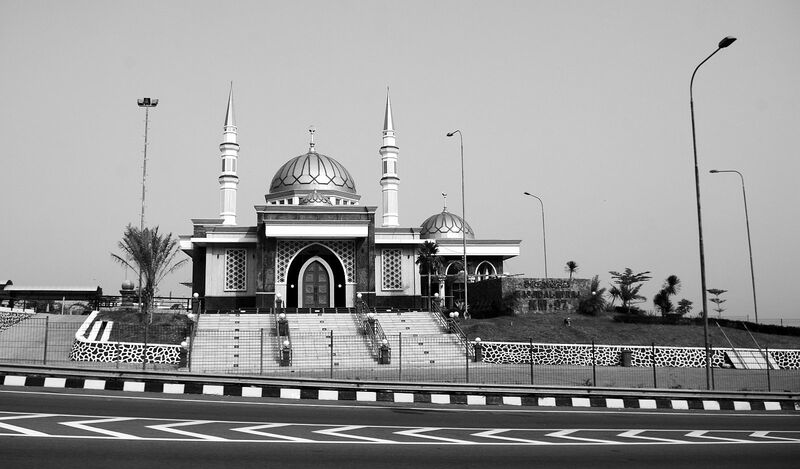 One of the many anomalies in Jakarta culture – a Catholic church in a Muslim country. This is what makes my environment so interesting. I was walking home two days ago and I noticed the Masjid on Kemang Jalan Barat. I snapped a photo. Here it is. I must be really tired. My family and I were away for four days this week. Our school gives us a week off in conjunction with the Indonesian observance of Idul Adha, a day of significance for Muslims. We chose to head to another part of the island of Java, to Yogyakarta. Yogyakarta is in Central Java and it’s famous for its batik, its nearness to Mt. Merapi (the volcano that blows its top every couple of years), and two important historical and religious sites. Borobudur and Prambanan, Buddhist and Hindu temples, respectively, are both located very nearby the city of Yogyakarta. We stayed in a villa in the shadow of Mt. Sumbing, another volcano, and traveled between the two temple sites before returning home. The villa is decidedly rustic and offered beautiful vistas of surrounding rice fields and farms, as shown above, and is surrounded by masjids (mosques) that open the day with prayer at 4:00 am. There is nothing like waking up to someone praying/singing in Arabic before the sun even rises. On Tuesday, our last day at the villa, I woke up with the call to prayer and snapped some photos as the sun came up. The light was great and the proximity to Mt. Sumbing meant that the air was actually cool. A beautiful experience, to say the least.